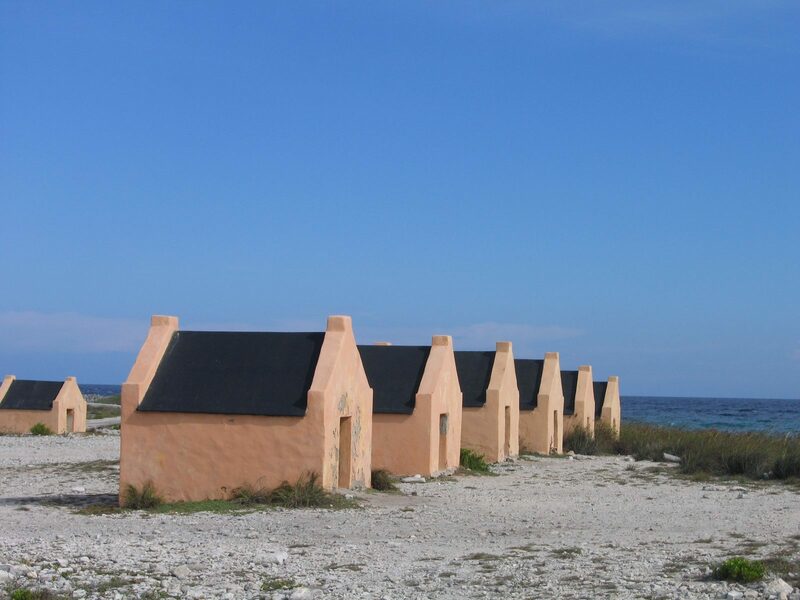 These huts were built in 1850 during the slavery era and served as a camp site for slaves, who worked at the salt pans in order to collect and ship salt, one of Bonaire's primary export products. These huts were used as sleeping areas and places for storing personal belongings. Every Friday afternoon, the slaves walked for 7 hours from Rincon to spend the weekend with their families, to return on Sunday. Four Obelisks on Bonaire were used as landmarks to show incoming ships the way. The obelisks were painted red, white, blue and orange (the colors of the Dutch flag).